The mobile and electronics South Korean giant Samsung stepped forward yesterday to reveal its brand new smartwatch, one that is clearly designed to compete with wearable powerhouses Apple and Motorola. The new smartwatch from Samsung is called the Gear S2, and comes in two design forms, one that has a more sport-like approach, and one that replicates a classic dress watch design. Both of these are round however, marking Samsung’s first attempt at a round design for its smartwatch lines. Currently, FitBit and Apple are dominating the smartwatch market, something the South Korean company obviously won’t take without an attempt to fight back. And, based on the revealed specs, the Gear S2 might just be the answer Samsung requires. The Gear S2 sports a 1.2 inch circular Super AMOLED display that runs on a 360×360 resolution and pushes out a quite impressive 302 PPI. Under the hood, we’ll find a 1.0 GHz Dual-Core CPU, as well as 512 MB of RAM and 4 GB of storage space. Not too shabby, but that’s not the best part. Samsung has been working on improving battery life significantly, and thus the Gear S2 is packing a 250 mAh battery that supposedly handles 2 to 3 days worth of regular use. That’s not bad at all, and add the fact that the smartwatch has wireless charging and we’re looking at a pretty solid product. The classic version of the Gear S2 captivates with its simple yet elegant lines. In terms of design, the watch is light and thin, weighing 47g on the regular Gear S2 (the sporty one) and 42g on the Gear S2 Classic. There’s also a 3G version of the watch, which has the same specifications, but with slightly shorter battery life (for obvious reasons) and with a slightly heavier overall feel, mainly 51g. The 3G version of the watch brings the benefit of being independent, meaning that you won’t have to pair it with your smartphone. Among features you can obviously expect health-based things like a heart rate sensor, or convenience ones such as NFC. Overall, the Gear S2 looks promising. We’ll have to test it once it hits the shelves to give a verdict, but it really looks like Samsung has hit its mark with this one. It all comes down to pricing now, something the company hasn’t given out details about as of yet. 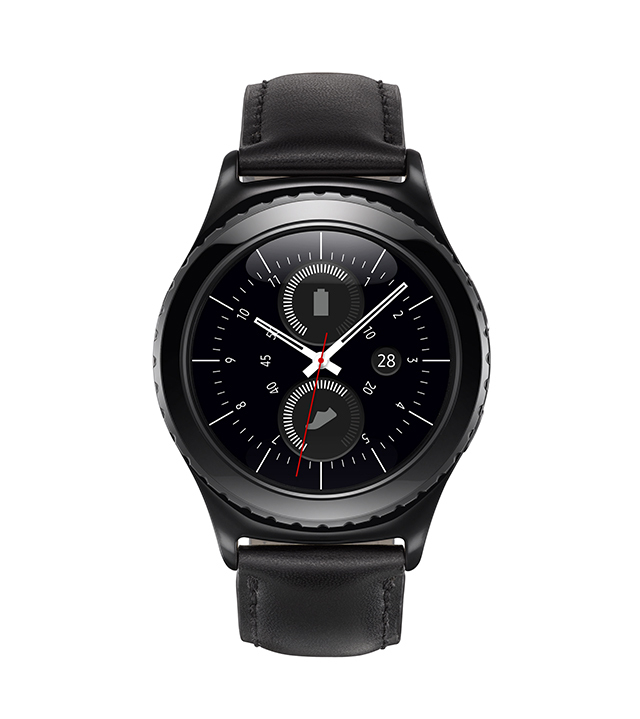 For more detailed specs and what to expect from the Gear S2, you can take a look at Samsung’s official website.